Activating brain cells with light could allow amnesia sufferers to recall "lost" memories, according to neuroscience researchers at MIT. The nature of amnesia has been fiercely debated for many years. Most researchers believe that it's caused by damage to specific cells in the brain, meaning that a memory can't be stored or recalled in that location. But this latest research suggests that view is probably wrong and that the problem lies in the memory retrieval mechanism instead. 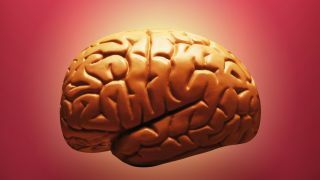 An alternative theory suggests that the brain contains a group of neurons which cause physical or chemical changes when memories are acquired. When these neurons are activated by a trigger - a sight or a smell, for example - they recall the entire memory. A group of researchers demonstrated these neurons in 2012 by adding proteins that allow them to be activated with light. But now they've also demonstrated that light could be used to recover lost memories too. In experiments on mice, the team caused the animals to form a memory but used a drug to prevent synapses from strengthening - effectively stopping them from remembering it. The next day, there was no trace of the memory. But when the researchers shone a light on the neurons that had been synaptically blocked, they found that the mice showed all the signs of recalling the memory in full. The technique is still far from applicable to humans, and much more work will need to be completed before we could even think of using it in hospitals. But it seems that for some people that suffer from memory-related problems, forgetting might not be so permanent after all.